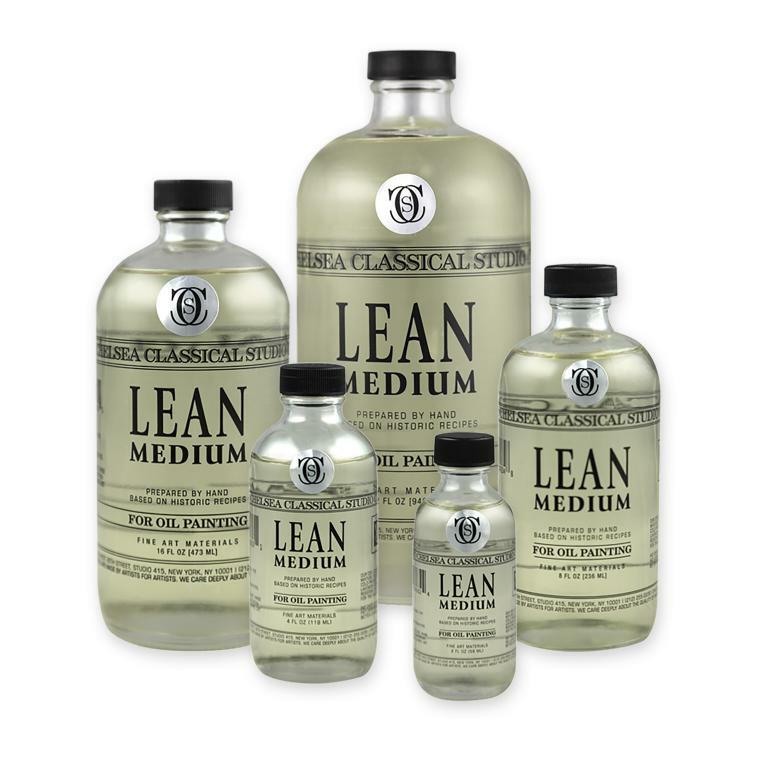 CCS Lean Medium For Oil Painting is a mixture of Linseed Oil Pale Cold-Pressed and Lavender Spike Oil Essence. It will thin the paint, make it dry faster, and is recommended for the early layers of painting. The painting method of “Fat Over Lean” means to apply a paint layer rich in oil (a fat) over a layer with less oil (a lean) layer on a painting. It does NOT refer to paint thickness. This simple principle is fundamental to controlling the paint adhesion, drying time and glossiness. To paint Fat over Lean, use less oil to begin with, and more oil and/or varnish on successive painting days.